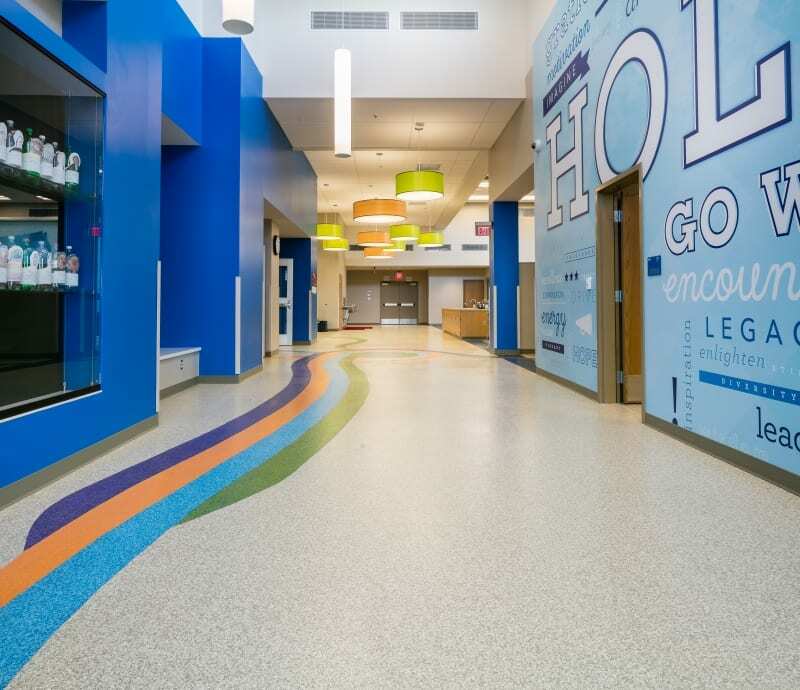 Our second entry for the 2017 Starnet Design Awards was Holton Elementary School in Holton, KS. 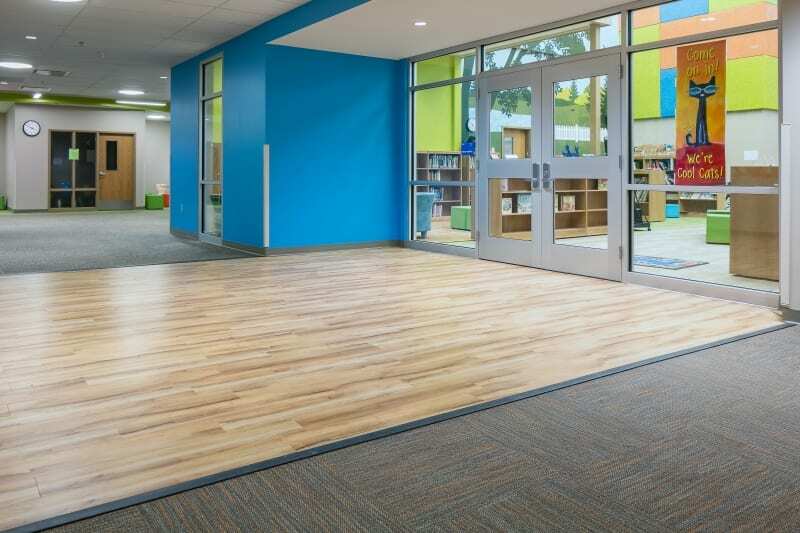 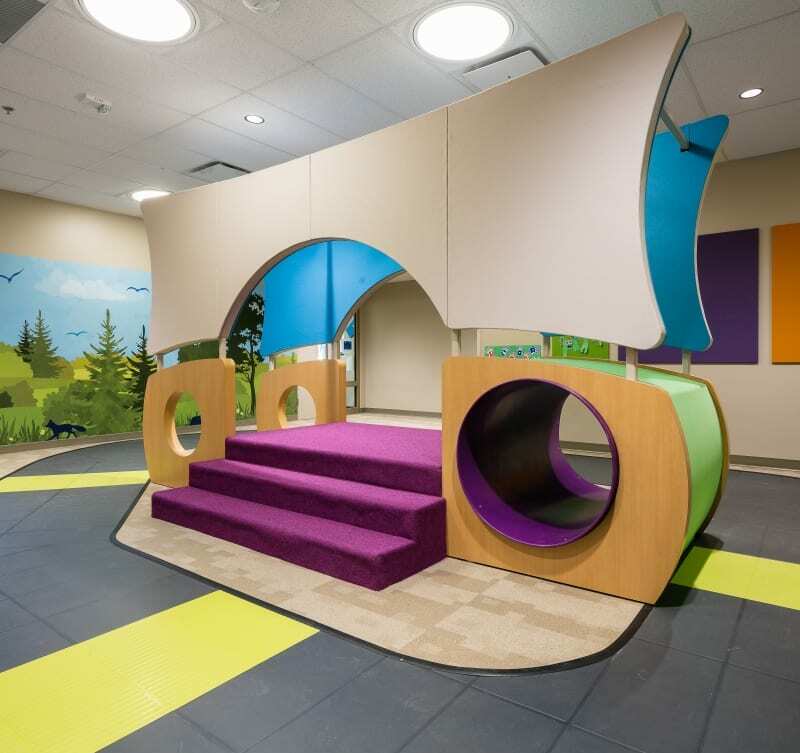 The goal of the design was to create “a space customized for learning” that would meet the educational needs of the students while providing a fun, visually stimulating environment. 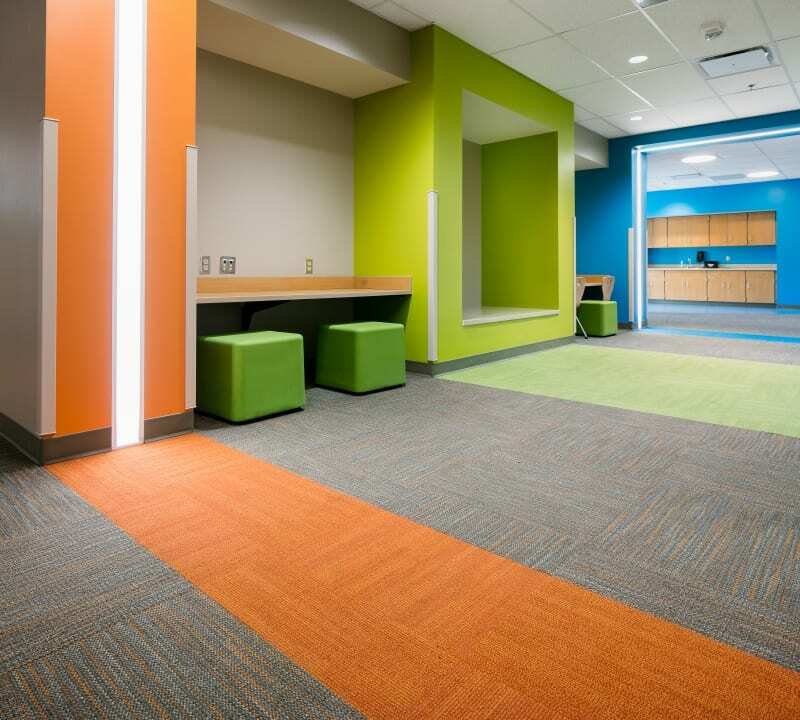 A modern pixelated pattern was used throughout the building, utilizing different colors in a creative “way-finding” function to help children navigate to different areas of the school. 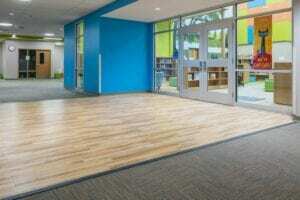 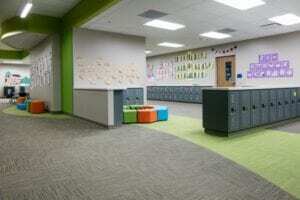 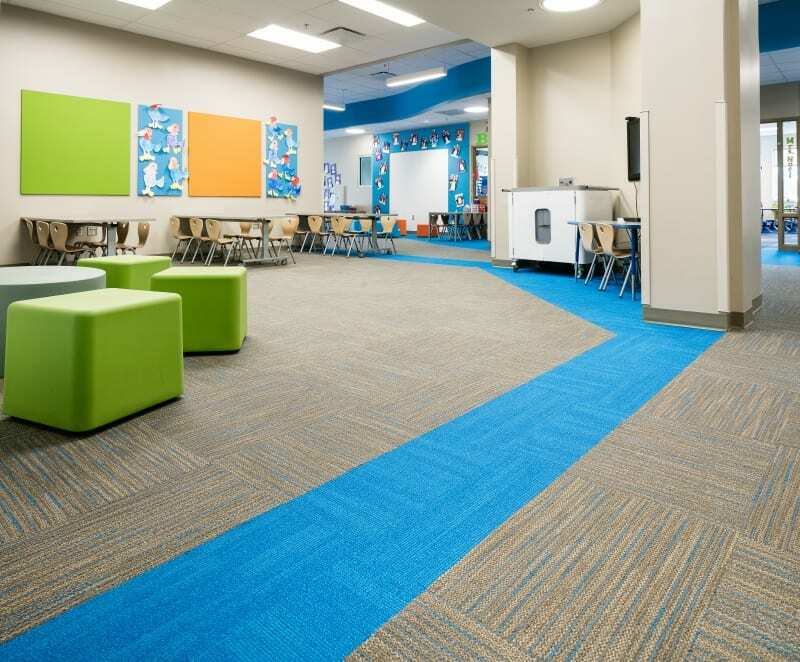 Classrooms use Kinetex carpet tile, a blend of soft-surface comfort with hard-surface durability. Teachers use this “transitional space” to give children comfortable seating, while the easy product maintenance allowed for messier activities. 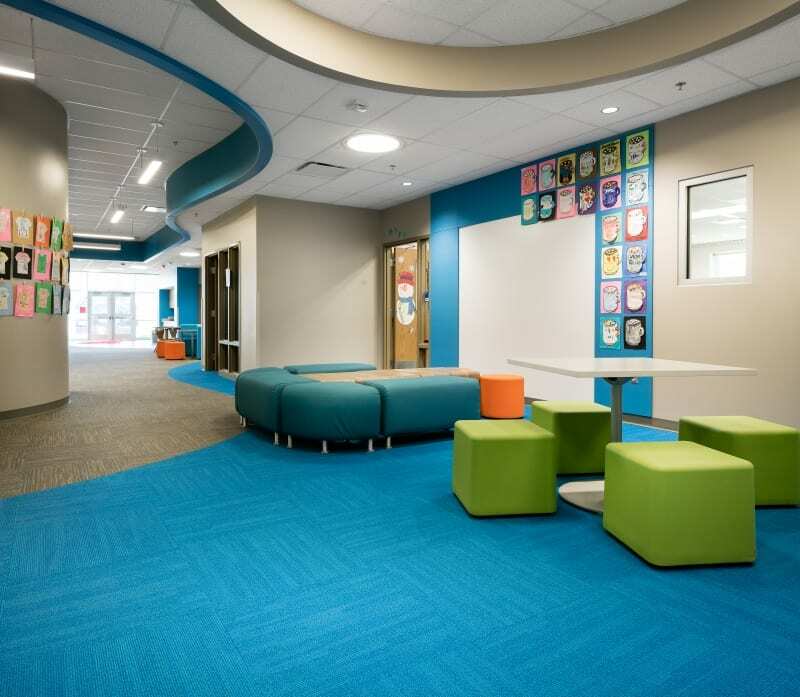 The children and teachers in the Holton community now have a “Timeless School Design” that will continue to meet the education needs for generations.